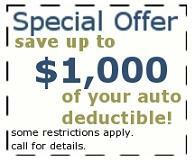 No Deductible Car Repair - See How - Call Now! Progressive Auto Collision in Phoenix, AZ is your one-stop-shop for everything you need to keep your vehicle running and looking brand new. We're a full service auto body shop that can set you up with a range of services for your car or truck - from repairs and maintenance to cleanings and paint jobs. If you have a vehicle that needs auto body repairs, there’s a shop in Phoenix, AZ, that can handle the work for you. The technicians at Progressive Auto Collision are I-CAR- and ASE-certified, and we have more than 10 years of industry experience. If you require a ride while your car is in the shop, we have rental loaners available to our customers. Perhaps you've grown tired of your car's faded exterior. Or maybe you have a ding, scratch, or rusty patch that's detracting from your vehicle's overall look. One thing's for sure: You want to drive around Phoenix, AZ in a clean, fresh-looking automobile. And that's where we can help. At Progressive Auto Collision, we offer quality auto painting services designed to get your car or truck looking its best. Whether you want a simple coat of paint applied or require more extensive work, we're at your service and up to the challenge. Are dents and dings marring the appearance of your vehicle? You don't have to be embarrassed every time you hit the road. 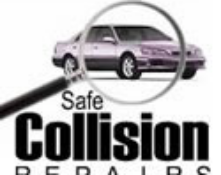 At Progressive Auto Collision, we offer reliable auto body dent repair services for all types of cars and trucks. A broken car window or windshield can be a significant nuisance. Worse yet, either problem can render your car unusable until it gets fixed. So if you need quick, efficient auto glass replacement services in Phoenix, AZ, come to Progressive Auto Collision. We offer timely service when you need it the most. Are dents making your car look old and worn? Are you tired of driving around feeling embarrassed by the state of your vehicle? We're here to help. At Progressive Auto Collision, we offer affordable dent repair services for all types of cars and trucks. As a home or business owner in Phoenix, AZ, you're probably no stranger to harsh winters and brutal storms that can wreak havoc on your property. If you're dealing with hail damage in the wake of a recent storm, call Progressive Auto Collision for help. Our hail damage repair services are designed to restore your property and help you minimize loss following a major weather-related event. When your car suffers the dings and dents that are sometimes an inherent part of driving, you want it repaired quickly and effectively. And that's where we can help. As a trusted auto body shop in Phoenix, AZ, Progressive Auto Collision has the mechanical and technical expertise to pop out those dents without marring your car's beautiful paint job. Our paintless dent removal services are designed to get your car looking its best without a long, expensive, drawn-out repair process. When you’re stuck along the road and need a wrecker service provider to help you, it’s good to know that you’re dealing with a locally owned and operated business you can trust. That’s why so many people prefer to ask for assistance from the team at Progressive Auto Collision in Phoenix, AZ. We’ve been around since 2005. New! Anti-Carfax Protection Don't Let Car Fax Kill Your Vehicles Value! Call Us Today To Save. You can bring your vehicle to Progressive Auto Collision in Phoenix, AZ, Monday - Friday, 8am - 5pm, and Saturday - Sunday, by appointment. Our auto body shop offers discounts to fleet operators. If you’d like to deal with technicians who are dedicated to completing your work as promptly as possible, give us a call today. © Progressive Auto Collision. All rights reserved.